Back Alley had 3 lives. In the late 60's it was a jam band, really not playing out of the garage. Later, in the early 70's it was revived with Mark on Bass, Walt on guitar & electric piano, Jeff on Hammond organ, Gary on Drums, and anyone else we could get. The band was sort of loose, and combined music from the Mergers, Panama Orange Tree, and some classic Rock & Roll. The third life emerged in 1974 with Paul Harmening on Drums, Walt Matheson on Bass, Jeff Morgan on Piano & Organ, and Terry Hyatt on Guitar. Singing duties were tossed throughout the band. This version was strictly a bar band, playing in Pierce County and in Centralia. The most notable thing about the band... we became the first Rock Band to hold down a house job... for a while at the New Yorker. Back Alley formed late in December of 1973 after Jeff left Rock~ola. Personnel for much of the duration was "Wailin'" Walt Matheson (Mergers, Panama Orange Tree, Rock~ola) bass, Terry Hyatt - guitar, Paul Harmening ( Jerry and the Out Crowd) - drums, Jeff Morgan (Mergers, Panama Orange Tree, Rock~ola, Great Pretenders) - keyboards and vocals. It was one of those "interim" bands where everyone was in between bands and formed up to make a few bucks. The band auditioned at the New Yorker's Coney Island Room when the house band was Art Mineo's band. The place was looking to change its musical style. Back Alley did several gigs there in the Coney Island Room from January through March playing a mix of album rock, some originals and a few oldies. Later, after Terry Hyatt moved to California and Paul left, Terry Bailey (The Intruders, The Regents, Christian, Rock~ola) and Gary Brand (Mergers -drums) took over for the last few gigs. 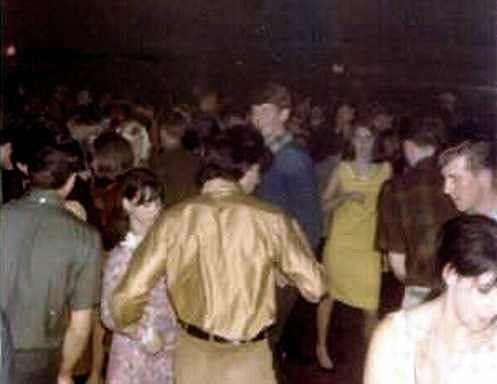 The band also played several nights at The Pizza Pub in Centralia and did some one-nighters. Back Alley broke up in early April, as other opportunities opened up for Terry (country rock) and Walt (Wailin' Walt the One Man Band).